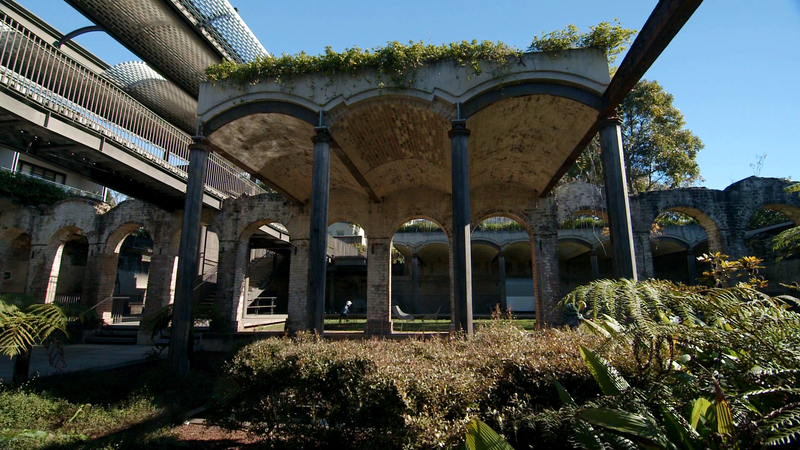 The video was a cross-country survey of eight NSW grand gardens, from the sub-tropical rainforest garden in the hinterland of Byron Bay to the new world climbing gardens on the old Kent Brewery site in Sydney. Art and culture are not always about beauty but when it’s there in front of your camera it’s hard to resist – as in this film for the State Library of NSW exhibition as part of bicentennial celebrations for the Botanic Gardens of Sydney. Afterglow produced a professionally made video that was able to document the projects key objectives, building a strong narrative to get our message across. Michael was very friendly, easy to work with and made sure he understood our brief. He worked efficiently and economically and was easily able to work with all the different personnel involved. The project team was extremely happy with the work produced. The State Library of NSW has worked with Afterglow on a number of short exhibition films including A Passion for Collecting and Artist Colony- Drawing Sydney's Nature. We have always found them to be creative, enthusiastic, engaged and able to create a quality product within tight budgets and timeframes. Afterglow was a great find. I was looking for a video producer who could help deliver a range of marine safety projects who would be: excellent to deal with, creative, experienced, professional, dependable and cost efficient. Afterglow was all that and more. In more than 20 years of experience in communications delivery, I would consider Michael of Afterglow an exceptional contact when it comes to video production for public awareness needs. Talking about a gambling problem can be a difficult and emotional thing for those affected. Afterglow showed enormous sensitivity in interviewing three young men about their stories and the results are not only lucid and visually engaging but act as a great encouragement to others in the same situation.